An A-10 pilot climbs into his aircraft in preparation for a mission. The Flying Tigers got their start on Independence Day, a band of volunteer American pilots who began their fight against Japan five months before the U.S. entered World War II. On July 4, their offspring, the 74th Fighter Squadron out of Moody Air Force Base, Ga., marked its 71st birthday. They did it as the Flying Tigers began – in combat. 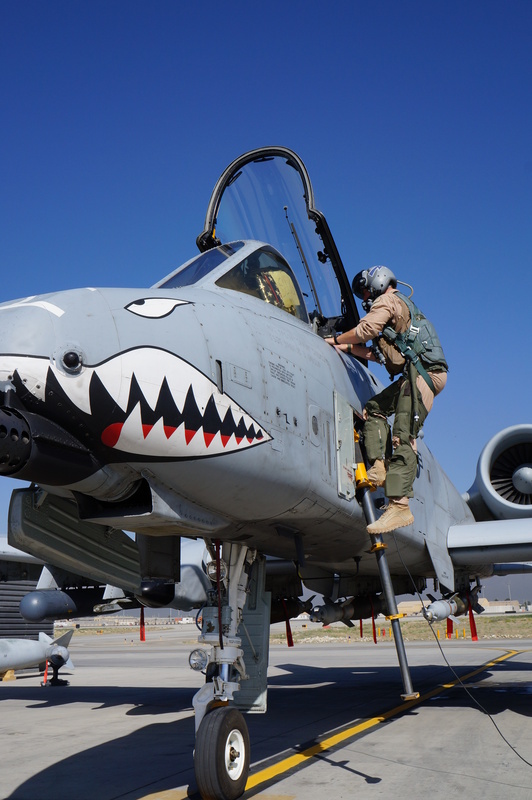 The A-10s, still distinguishable by the shark teeth nose art, are providing close air support for Afghan and coalition forces in Afghanistan. The commander of the 74th, Lt. Col. David Hayworth, talked to us from Bagram on what was the morning of the Fourth here in the U.S. 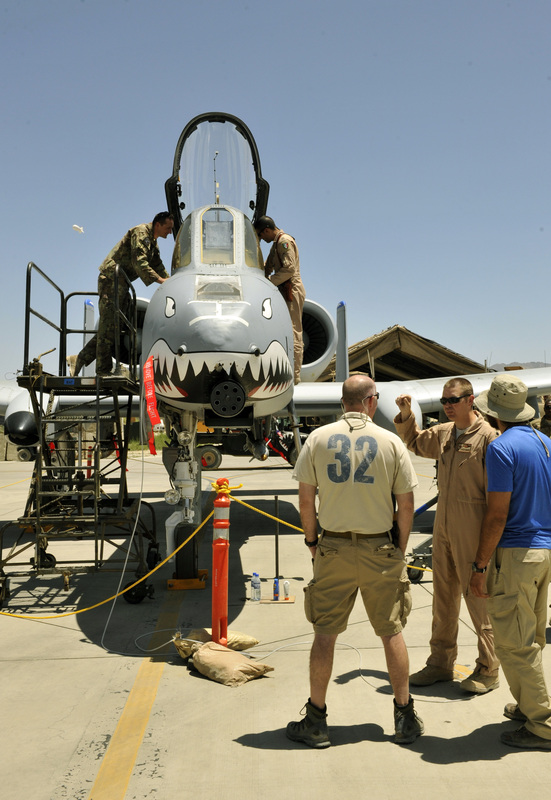 The squadron is about halfway through its deployment, he said, and they marked the Flying Tigers’ anniversary with an A-10 open house. “The world famous Flying Tigers have a proud history we want to celebrate,” he said. It’s an honor, he said, to be in Afghanistan helping to ensure the guys on the ground make it home to celebrate another Independence Day – and that the Fourth of July is always celebrated.